Feed a Smile: Happy Friday! 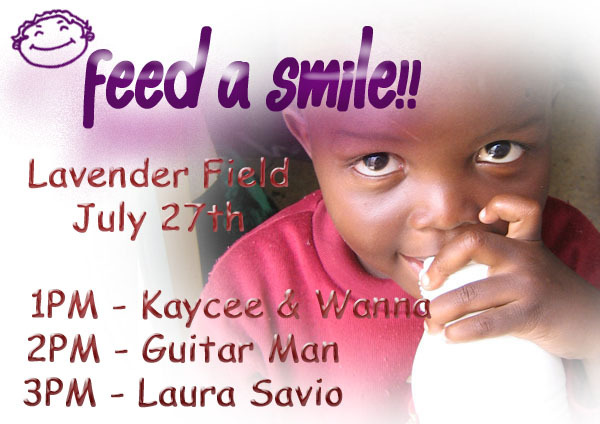 Well, Friday is a special day of the week and deserves to be treated as one - so you will really be in for a treat at the Lavender Field when Kaycee & Wanna take the stage at 1PM followed by two Lavender Field premiers - Guitar Man at 2PM and the lovely Laura Savio at 3PM. 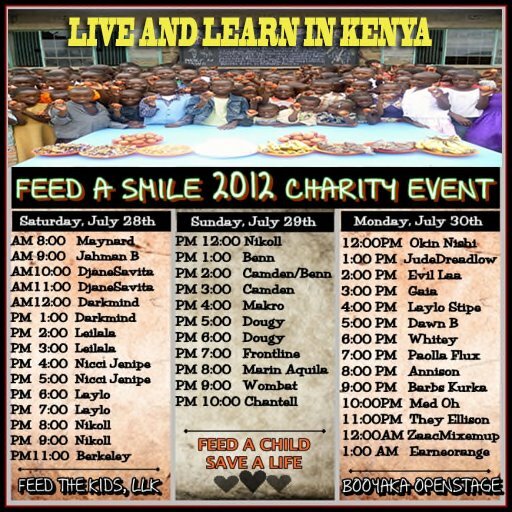 Three hours of awesome music for an awesome reason: Making a difference and having a great time doing it! And talk about special - You won't want to miss the weekend event that goes right on until late Monday night. Making a difference and having a great time doing it! There’s something for everyone this weekend – so enjoy!